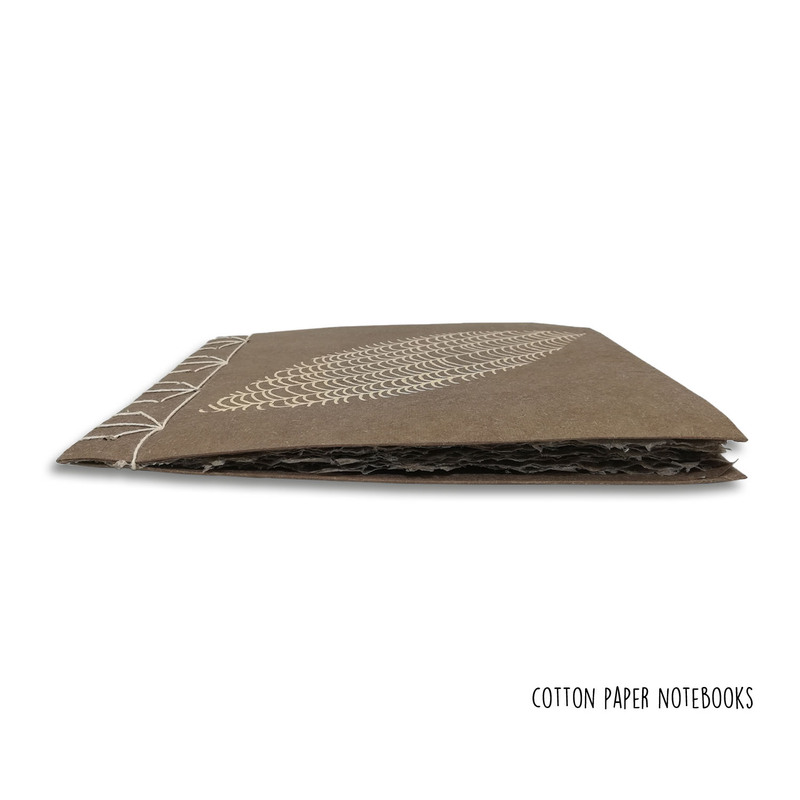 Our handmade Japanese stitch notebook features a banana paper cover that comes with banana deckle edge pages. The handmade paper is set in place using natural materials, as our artisans do not have access to any processed adhesive. Making sure you get a natural handmade notebook for your day to day use. The binding of the journal is stab sewn using linen waxed thread, so you can enjoy a spectacular finish. 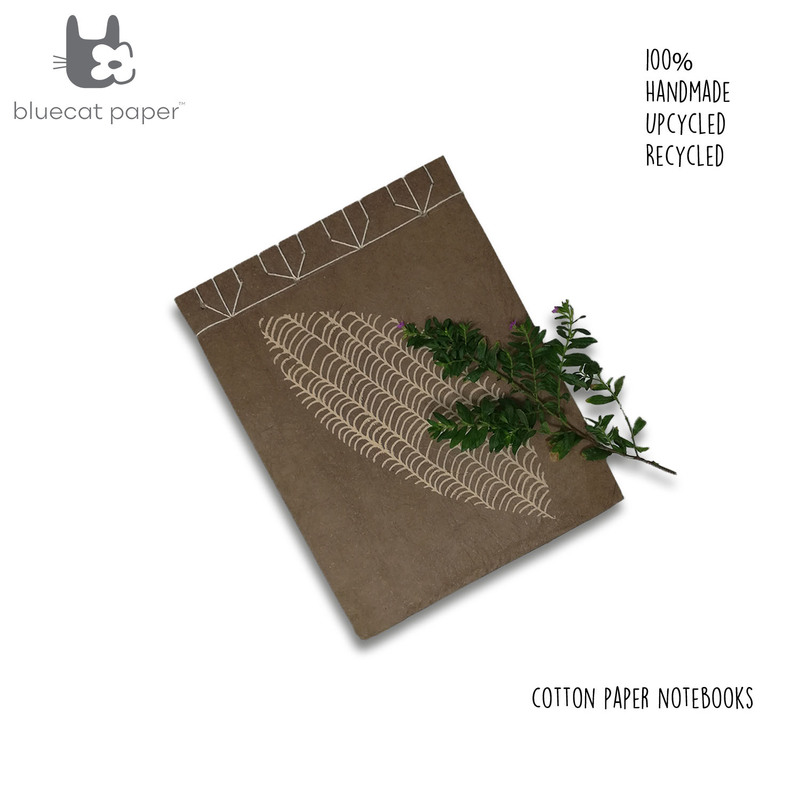 Moreover, the charming yet slightly rustic looking notebook is perfect for those who wish to carry around a unique and charming notebook that matches their sense of style. 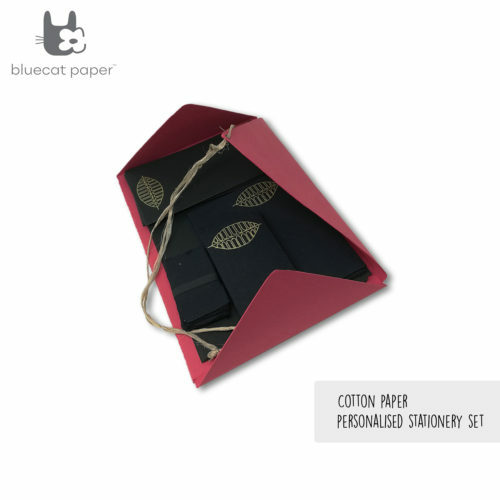 It’s a luxurious experience writing on handmade cotton paper. Banana with biscuit autumn leaf print, banana deckle edge papers. Journals, Students, Art lovers, Office supplies, Gifting ideas, Diaries. 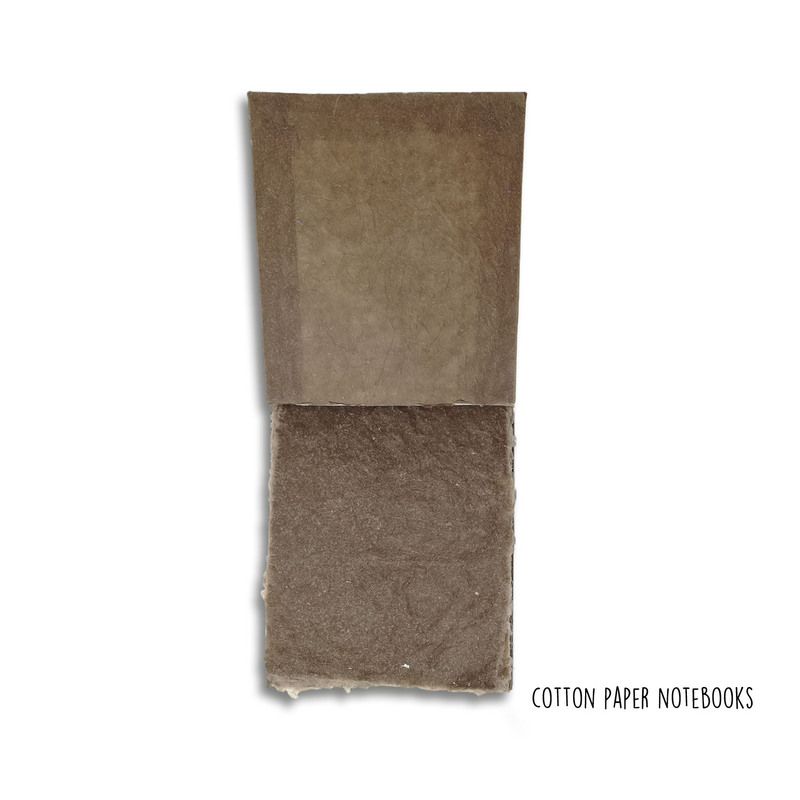 Banana Handmade Papers, linen waxed thread. 28 X 20 cm (H X L), 38 pages. Unique handmade dark grey notebook.